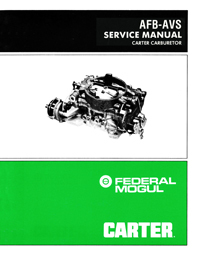 Complete service manual: Comprehensive factory service information for the Carter AFB carburetor. 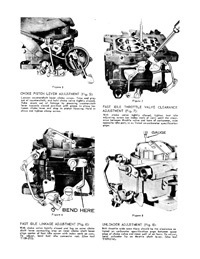 Includes theory, diagrams and complete overhaul procedures. Fast, secure e-book download. 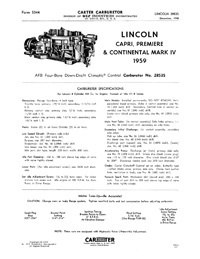 Covers the Carter AFB carburetor used on Lincoln cars.